C’est La Vie En Perles! It may be hard to tell from the photo, but this piece is extremely small. The lady measures approx. 6cm tall x 4cm wide. 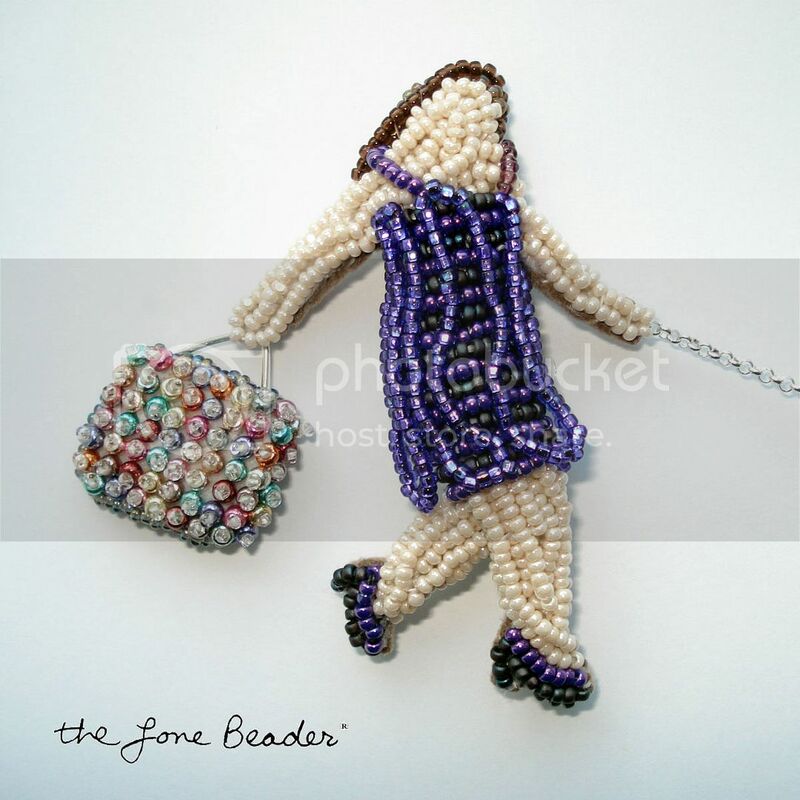 She is carrying a beaded shopping bag which measures 1.5cm x 2cm wide. She was beaded entirely with Japanese size 15 seed beads and 13/o charlottes. The handbag was beaded with size 11/o seed beads and 13/o charlottes. Its handle was made with sterling silver wire. 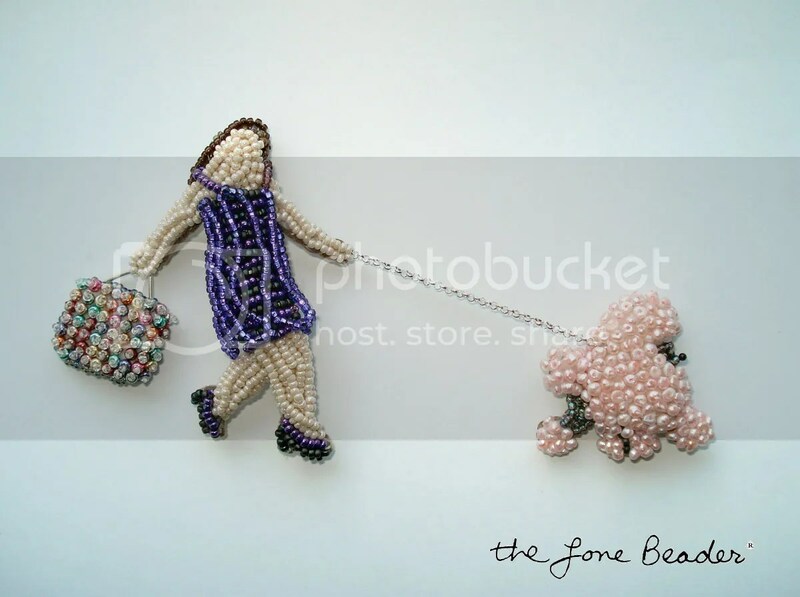 My beaded lady is walking a tiny beaded poodle which measures 2.5cm x 2.5cm. 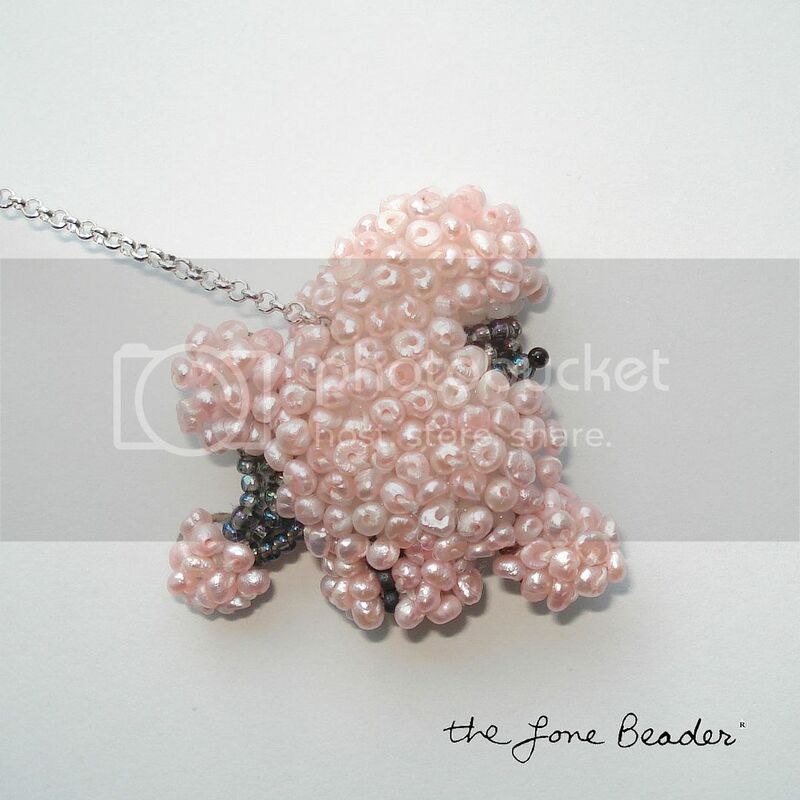 The dog was beaded with tiny pink freshwater pearls and size 15 glass seed beads. I also used a 1mm glass eye for the nose. 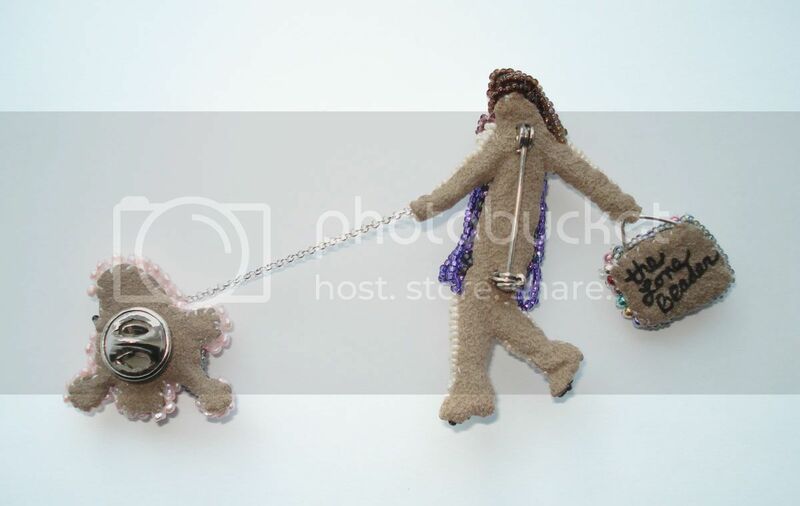 The dog’s leash is a fine sterling silver chain.